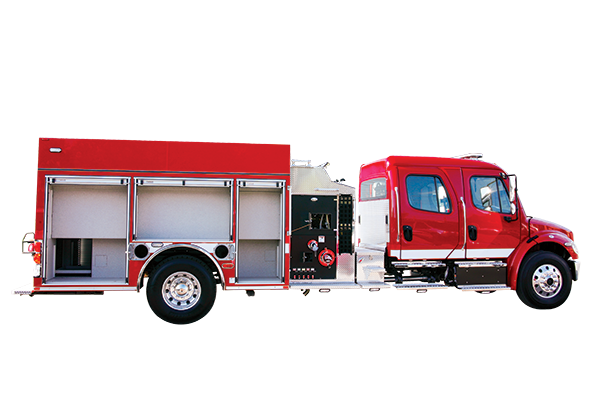 FXP pumpers incorporate the most popular Pierce features as standard at a very competitive price. 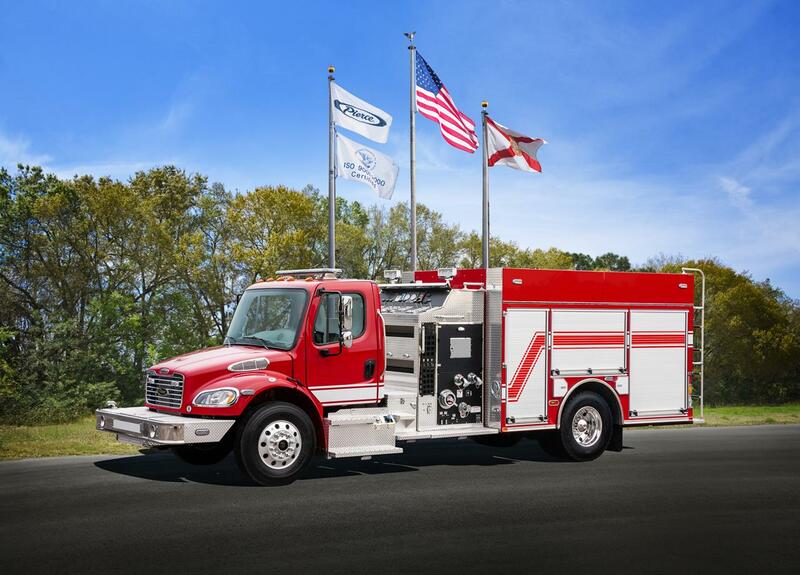 Standards include an aluminum body with high side spatter painted compartments on each side, LED lights, roll-up doors, enclosed ladder storage, wrap-around tail lights, and a full width hose bed. 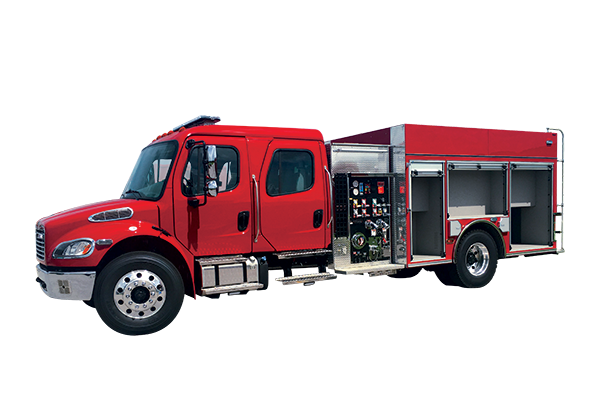 The 1,250 gpm pump is inside a 34" pumphouse, with easy access low height speedlays, and a full-sized cargo area above. 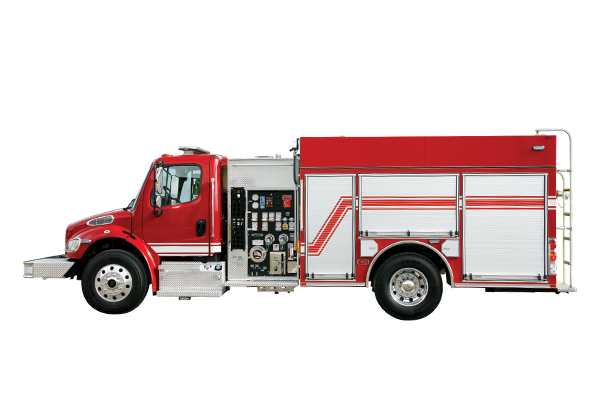 Get larger over-wheel compartments and rubrails, with passenger’s side upper compartments that are a full 13" deep. Body Material Aluminum Body Width 98"